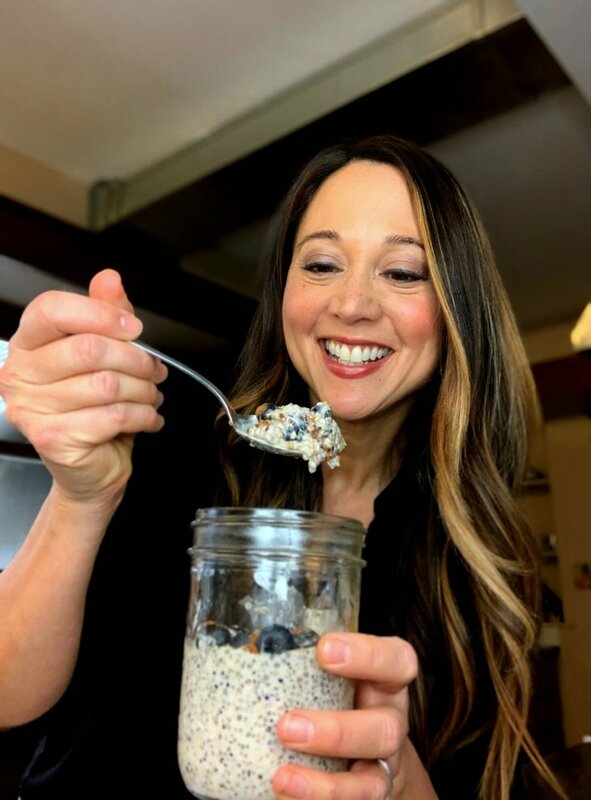 If you’re a fan of overnight oats, you’re going to love this variation using quinoa. So let’s put our meal prepping hat on for a minute. 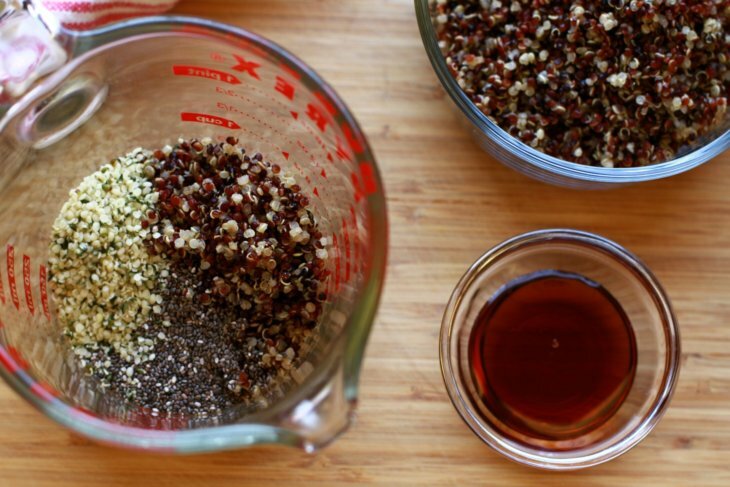 Let’s say you make a big batch of quinoa on Sunday, and you use it for taco or buddha bowls. And then you have some quinoa left over. 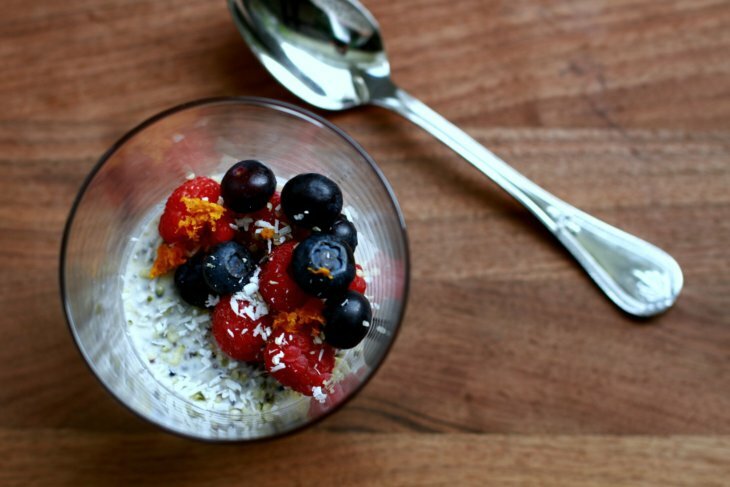 Or, you could use the quinoa to make a delicious breakfast parfait. These Overnight Quinoa Cups combine that leftover quinoa with some plant-based milk, coconut yogurt, and a few other ingredients to make a delicious and satisfying grab-and-go breakfast. 1/4 cup plant based yogurt, unsweetened. My fave is Coyo coconut yogurt. Mix all of the ingredients (except for the berries and garnishes of choice) together in a small bowl. Stir well, and then divide the mixture between two small bowls or mason jars. Refrigerate for at least 4 hours or overnight. The next morning, remove from the fridge. Add a handful of fresh berries on top, and any other garnishes that sound tasty. Enjoy with a little drizzle of additional maple syrup and a shake of cinnamon. Need some extra help with healthy meal planning? 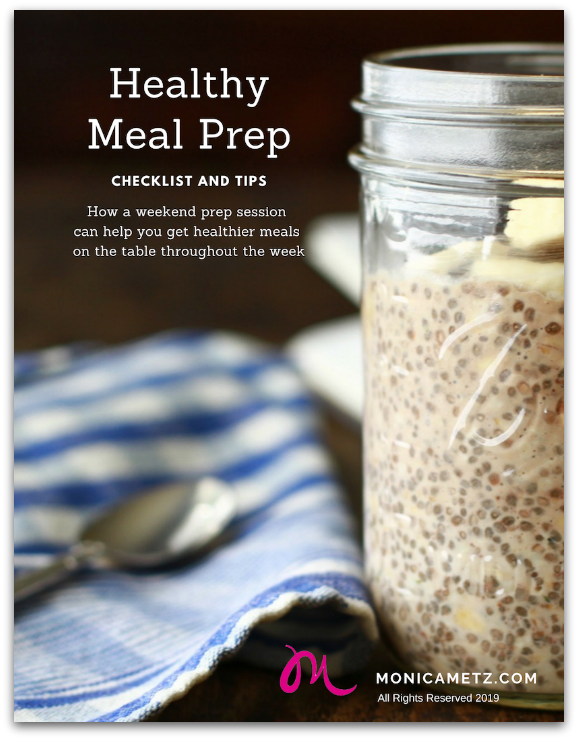 Check out my fun freebie, the Healthy Meal Prep Guide.This free PDF is downloadable/printable and includes: Shopping and meal prep strategies. Ready to download the guide? Great!